It not often that a shirt and trouser monochrome look this feminine and chic. 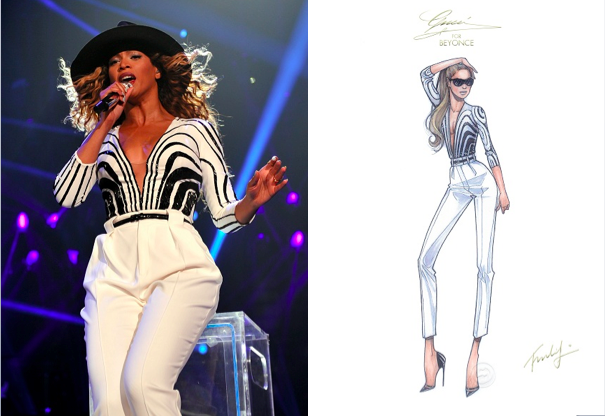 Absolutely love what Gucci has created for Beyonce. Absolutely fierce.